India is a land of different cultures. It is a medley of different people living differently according to their traditions. Unlike every other county, it has a wide variety of traditional as well as regional cuisines. The local food of India is famous all around the world and one can't stop drooling over the flavours of these local dishes. Bangalore is one such cosmopolitan city filled with tasty and alluring dishes. For all the Food lovers visiting this city, you must not miss the places mentioned below if you want to get your hands on all the local flavours. There is always one street in every city which is dedicated to local food and gathers the maximum traffic of foodies because of its pleasant smell and savouring local taste. Thindi Beedi in Bengaluru is one such iconic street located between Sajjan Rao Circle and Minerva Circle in VV Puram. This street outset only after the sunset and remains busy till the clock strikes midnight. It is one of the oldest vegetarian and pocket-friendly food streets. The street has more than 20 stalls serving all the delicacies one can wish for. However, among so many options some must-have dishes are Cream Puffs, Honey cakes and Congress Bun at V.B. Bakery, Curd Kodu Bele at Arya Vysya Refreshments, AkkiRotis, Shri VasaviChatnis and many more. 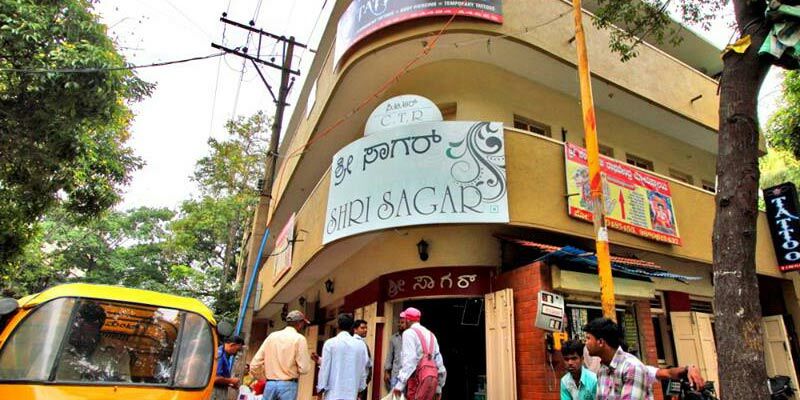 The 4.7 stars rated Sri Sagar, formerly known as CTR is one of the oldest and most renowned restaurants in Bangalore. It has an excellent reputation for its mouth-watering food as well as service. Situated at the corner of Margosa Road, it serves from 7.30 am for tindi till 12.30 pm and resumes from 4 pm to 9 pm in the night. One can also spot some celebrities such as Deepika Padukone and Ramya, every now and then. 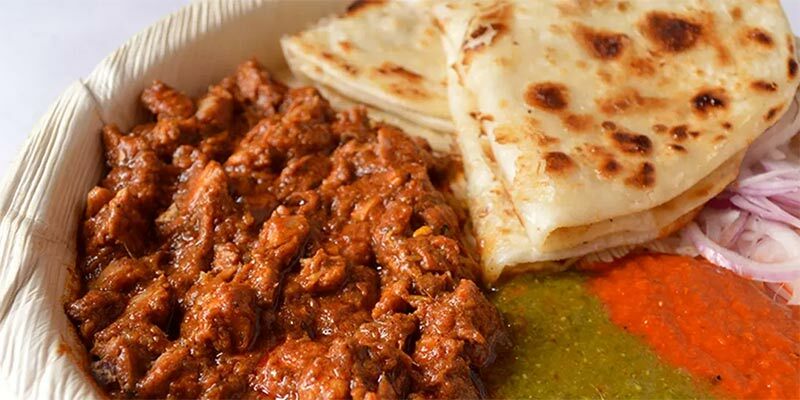 The most attractive feature of this restaurant is its flavoursome aroma of coffee mixed with traditional spices which can devour someone into the menu, right away. Like every other place, this place is also famous for some of its eateries including benne masala dosas, poorisagu, Mangalurubajji and filter coffee. 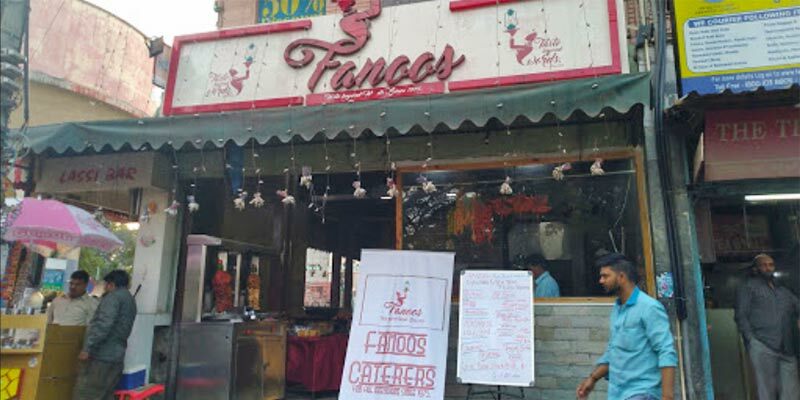 4 stars rated restaurant, Fanoos is located in Richmond Town opposite to Johnson market. It serves 365 days from 10:30 am to 4:00 pm and resumes at 7:00 pm. It is a well-renowned place and a home for some delectable cuisines which include Mughlai, Chinese and North Indian. However, the speciality of this place is its delicious rolls. It is also known as the Iconic roll place in the vicinity. This restaurant ensures to serve a palatable food for all the foodies to relish the mouth-watering flavours of these secret recipes. This is one of the cheapest and most fulfilling places to explore. Some of the must-haves are Kebab Rolls, Beef Biryani, Seekh Kebabs, Fruit juice and Milkshake. If you are in Malleshwaram, you can’t miss visiting this oldest and most amazing centre for chats and juices. 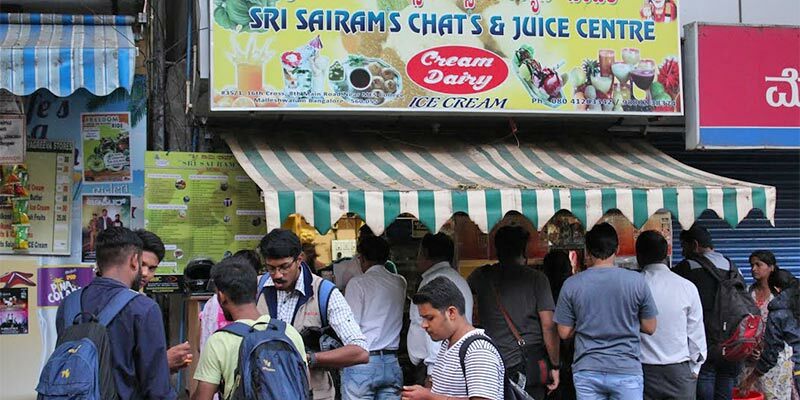 Sri Sairam’s Chats and Juice is a small shop located on the 15’th cross street. It is a 4.2 starred outlet and one can’t find a better place to try the local chats made up of traditional spices and flavours. Even though there is no seating facility, this place remains really busy because of its amazing service and palatable food. They serve south Indian style chats which are quite different. You can visit at any time between 10 am to 10 pm. However, some delicious eateries to explore are Sairam's Special, DahiBhel and Masala Pepsi. Located in the heart of the city at Sajjan Rao Circle, near Botanical gardens, V V Puram is one ofthe most famous and crowd-pulling food streets. This street has more than 15 outlets jutting out from each corner. The eateries are filled with vegetarian food and are worth spending your time as well as money. The aroma of different cuisines from south-Indian favourites to Mumbai street food, north-Indian chat and event Rajasthani fare will galop you into the world of a true foodie’s paradise. 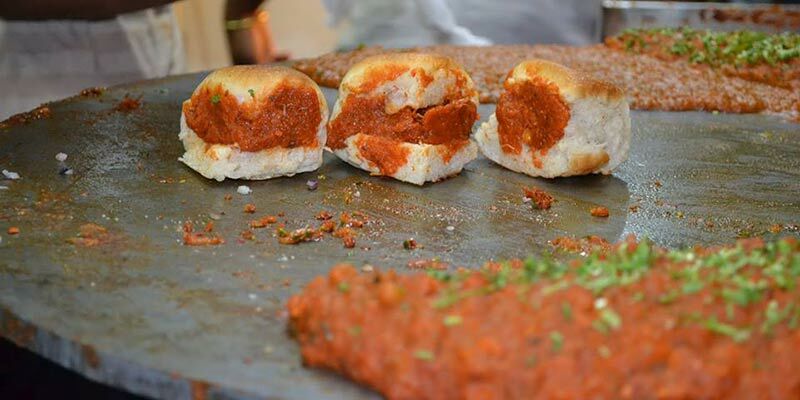 There is a whole range of tooth-some food to try such as crisp dosas, buttery-soft idlis, stuffed paranthas, Punjabi chaat, Maharashtrian dabelis and Mumbai-style pav bhaji. However, some must-have dishes are Akki Roti, Hollige, Bhajiis and Gulkun Ice-cream. The city’s major shopping centre, Shivaji market is one of the busiest streets of Bangalore. Apart from all the commercial complexes, this place is to explore for street food after V V Puram. 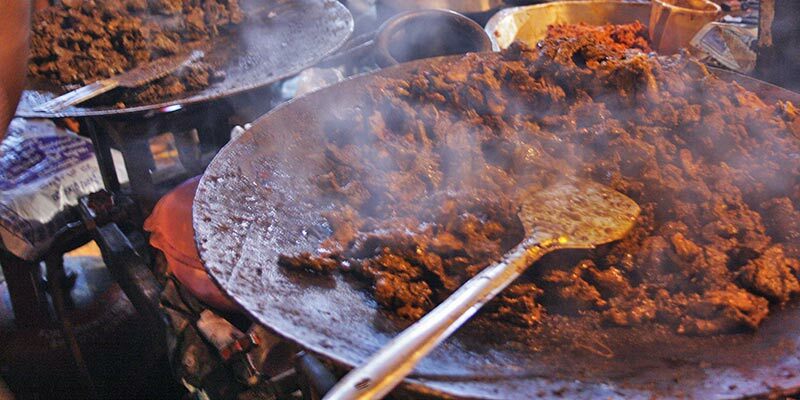 As soon as you come near to this place, the alluring aroma of foods being cooked reaches to your nostrils. This place has eateries for both vegetarians as well as non-vegetarians. 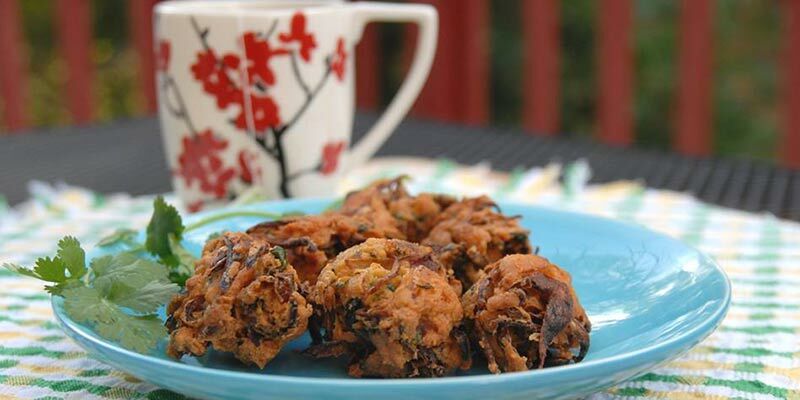 You can try anything from samosas to Kababs. However, meat is the speciality of this place. In the month of Ramzan, this place becomes more lively and you can’t miss on all the non-veg delicacies this place offers. Some of the delectable eateries to try are- meat samosa at Royal Restaurant, Suleimani chai, mutton kababs and marinated beef. Johnson market was established in 1929 and was known as the Richmond Town market. This market is highly famous for grocery and vegetable shopping as well as mouth-watering delicacies. For all the food lovers, this place is an adventure ground to hunt for some toothsome dishes which one can’t afford to miss. It is famous for its street food and usually remain busy in the evening and especially on weekends. It offers everything like kebabs, Shawarma rolls, beef biryani, seekh kebabs on skewers, egg puffs, etc. 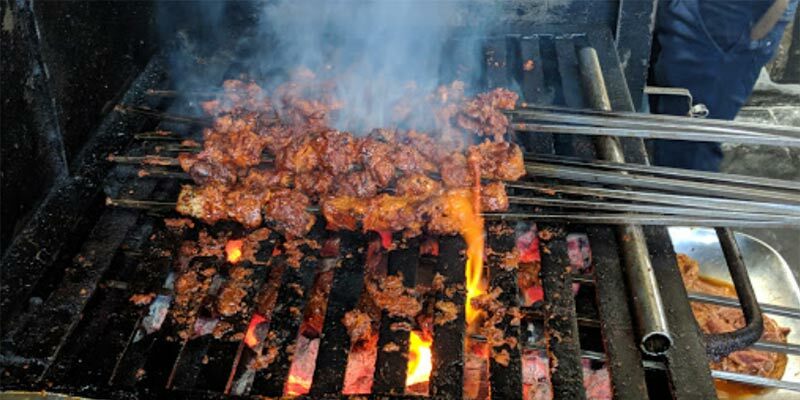 However, some of the very popular eateries are Fanoos for chicken rolls, shawarma rolls and kebabs, Khazana Food Paradise for beef biryani and chicken kababs and Siddique Kabab Corner for seekh kababs and phal. Located in the heart of Kammanahalli, Bangalore, Al-Amanah Café is a very famous Arabian café. The place is well known among students because of its special veg and non-veg Falafel rolls. This café is comparatively cheap from all other food joints and serves delicious Chicken Jumbo Roll for just Rupees 70. For all the foodies, this is a must visit place to try out Rolls, Kababs and Lebanese. The café has organised seating arrangement for all the visitors to relax and savour the taste of each bite. You can visit this café anytime between 11 am to 11 pm and explore the special items made up from your choice of fillings. Some of the must-haves are Veg. Falafel Roll, Chicken Jumbo Roll, Crispy chicken and Mutton Kudu Roll. Tin Factory Area near Jyothi Puram & KR Puram is known for a wide variety of food outlets and some street food eateries. The place is not very amazing to wander around but for all the food lovers, some of the delicacies of this place are worth trying. You can visit some amazing restaurants around this area such as Zaatar, famous for seafood, 3 monkey brewpub and Royal Biryani House. However, some of the pocket-friendly outlets to visit and enjoy are Luqma and Lulu’s family restaurant. You can visit any of the outlets mentioned above and relish the taste of each bite with your family and set of friends. Brahmin’s Coffee Bar is located in Basavanagudi, Bangalore. It is one of the oldest food outlets of Bangalore famous for serving the best south Indian breakfast with a cup of alluring coffee. Even though there is no place for sitting, it remains very busy at the time of breakfast and on weekends. You can visit anytime between 6:30 AM to 11 AM and 3:30 PM to 6:30 PM. However, sometimes the shop gets closed as soon as they run out of their idly and Vada batters. 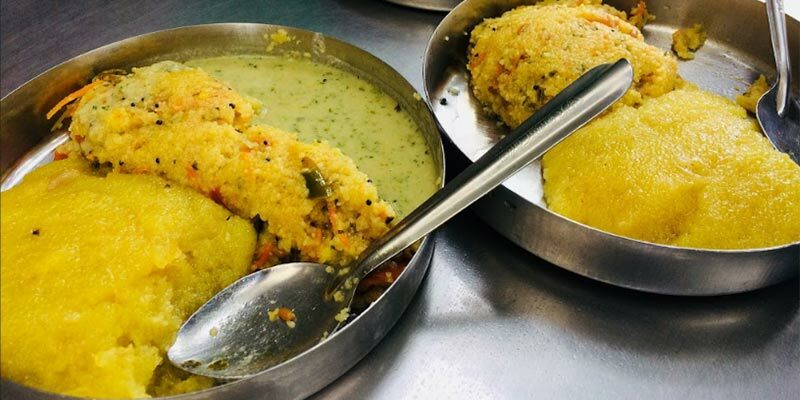 Hence, it is advisable to visit this place in the early morning to get the taste of delectable traditional items such as Kharabhath or Upama, Idly, Vada, KesariBhath, Coffee, Tea and Milk. Located in Indiranagar, Khan Saheb Grills and Rolls is a 4 starred restaurant popularly known as a paradise for all the non-vegetarians. 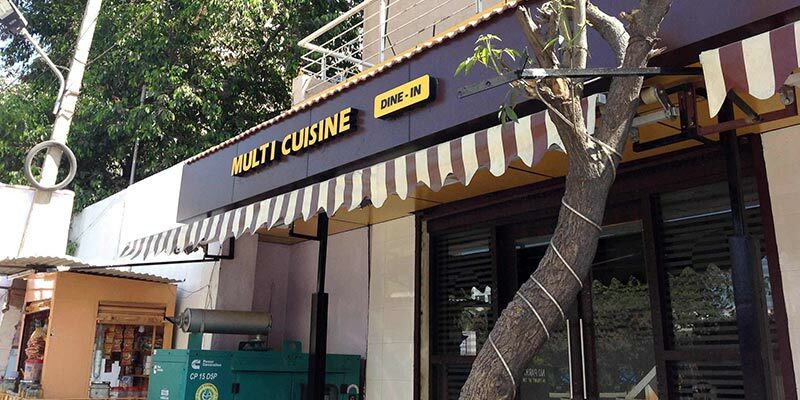 It is a place for all the foodies who want to relish the taste of kebabs and rolls in quick bites. The place is very hygienic and known for its polite service. The ambience is aptly made for relaxation and for spending some quality time with friends or family. You can visit this place anytime between 12:30 pm to 3 am and get your tummies filled with healthy and filling palatable food. There are so many options provided to explore including egg roll, paneer chilly garlic cheese roll, chicken and mutton kebab. However, the speciality of this place is Chicken rolls. Hari Super Sandwich located in 3rd block, Jayanagar, Bangalore is highly famous across the vicinity mainly because of its Sandwiches. One of the four branches in Bangalore, it was started around 15 years ago. It has been rated 3.9 on Zomato. For all the food lovers this place is a paradise which offers you a plethora of sandwiches according to your flavour and taste. 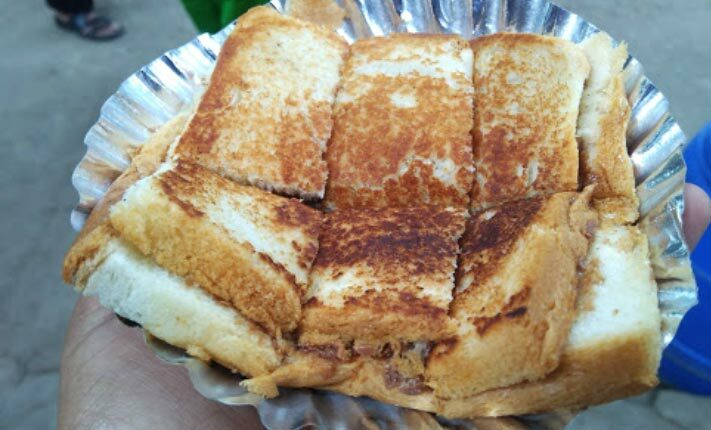 However, the most famous and delicious among all are the Hindpur styled sandwiches. 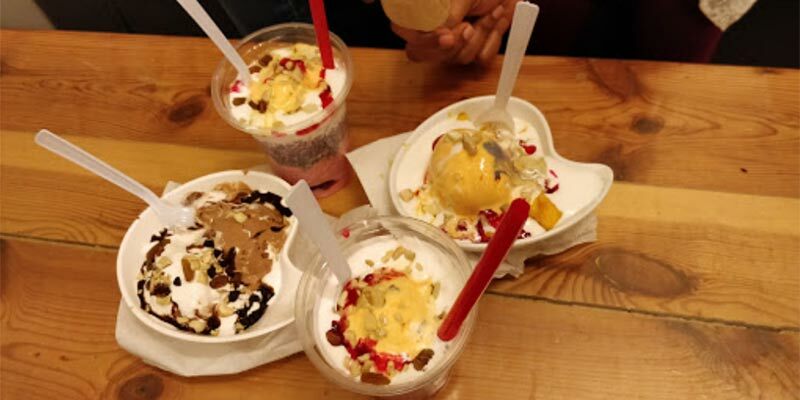 It serves some mouth-watering chaat, milkshakes, juices and sandwiches such as bhelpuri, bread masala, dahiboonde, etc., among which the bestsellers are American Corn Sandwich and Chocolate Sandwich. Therefore, for all the food lovers it is advisable to visit this place early in the morning to binge on a variety of sandwiches at once. Mosque road in Frazer town is a street that turns into paradise in the month of Ramzan. It is a pure place of heaven for all the non-vegetarians. This street has multiple joints stretched throughout the lane serving everything like sheekh kebabs, pathar ghost, haleem and countless desserts. This place might not be as active as before but still, there are some outlets left to experience the mouthwatering food. Some of them are Chichaba's Taj, famous for kebabs and chicken/mutton samosas, Charminar kebab paradise, popular for their BaidaRotis, Paranthas and Samosas, Rahhams to try Quail Fry and Chicken Pahadi kebab and New Taj for mutton. If you are a true non-vegetarian, this is a must visit place for you to visit in the city of Bangalore.